An adjustable Steel Trestle that is wide enough for four standard scaffold boards, to provide a safe working platform for bricklayers, plasterers and painters. 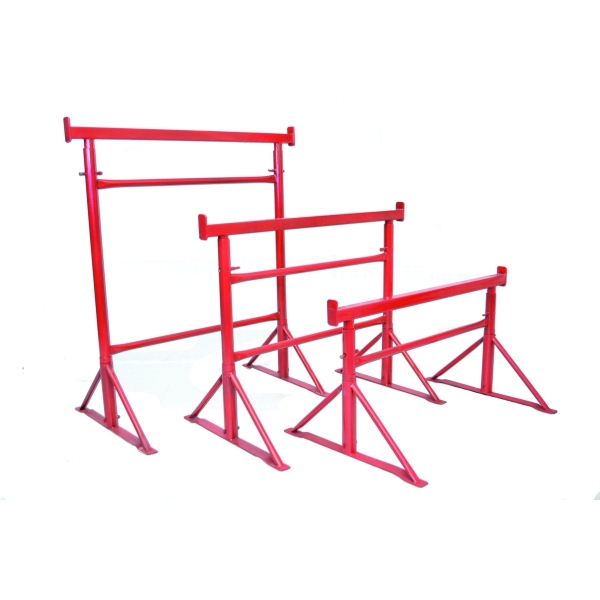 The Trestle is finished in a high quality powder, coated deep red for lasting corrosion protection. Able to Hold up to 4 Plasterboards. Size 3 = 1.05m to 1.67m.